A Cake Bakes in Brooklyn: Is Pie the New Black? 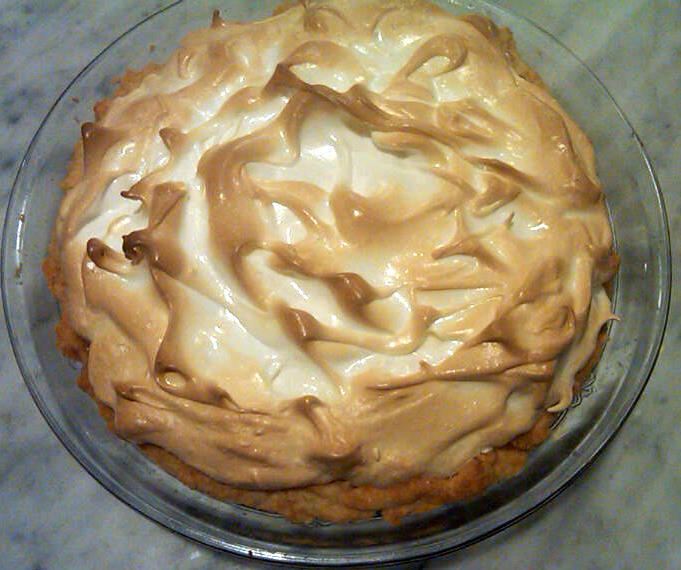 I couldn't enter the pie contest because I was working that Sunday, but I did decide to try my hand at lemon meringue pie. 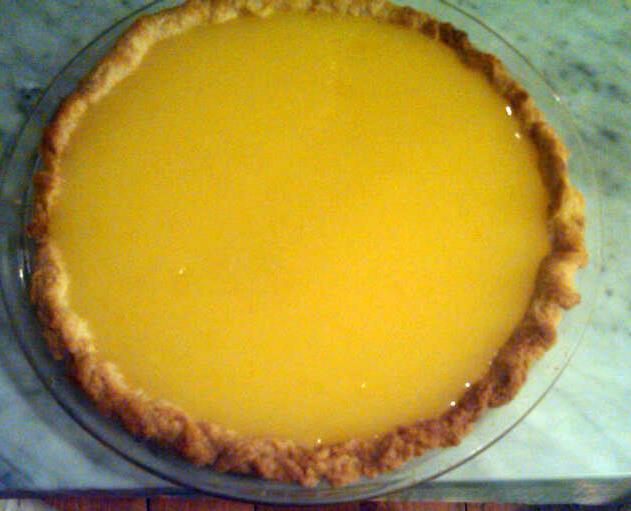 (The winning pie was a Shaker lemon pie.) I made it twice in the past few days. 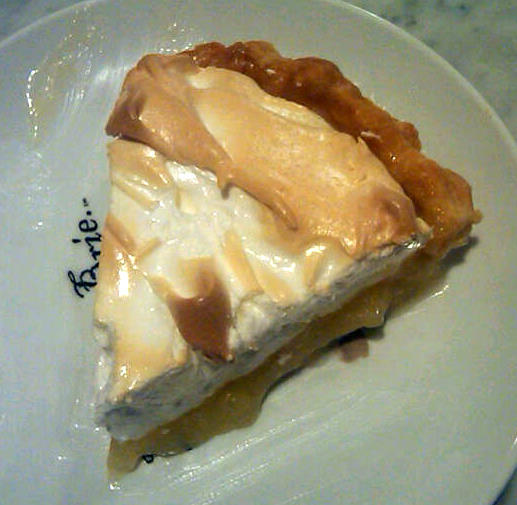 The first was gorgeous, but a failure as the filling never quite set, so we all *enjoyed* meringue-topped lemon soup. 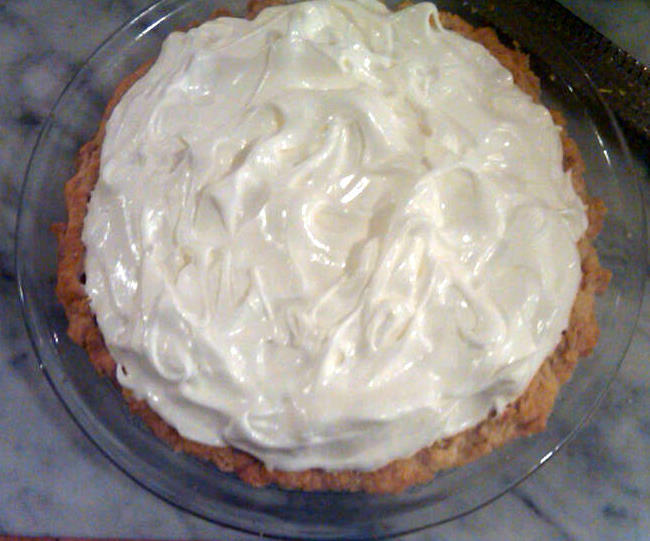 The second pie was much better, but I overbeat the egg whites rendering the meringue a bit tough. Plus, I had a fight with my pie crust and in retaliation, it shrunk in the pie pan. I'm posting the second recipe I used, which was far superior. The filling was easier to make and was smooth and custard-y. 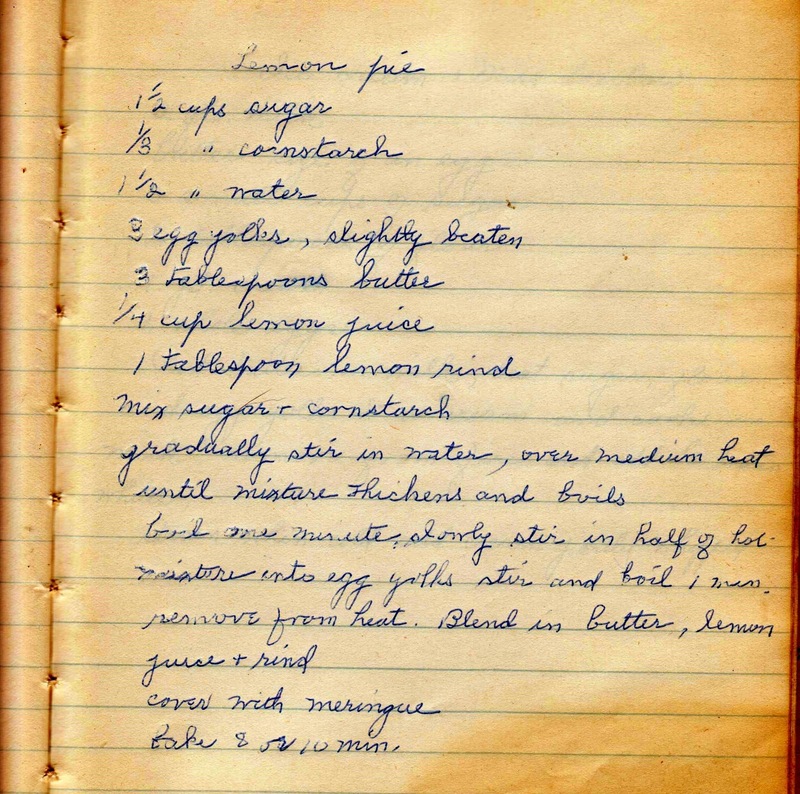 Ironically, the pie soup recipe was published in a c. 1955 cookbook (where recipes, often subject to testing, are usually more reliable) but the successful one was hand-written in a composition book belonging to Ida Mai Van, a cooking school student in 1935. To pre-bake the pie crust, line it with parchment paper or foil and fill with beans to keep it from puffing up. 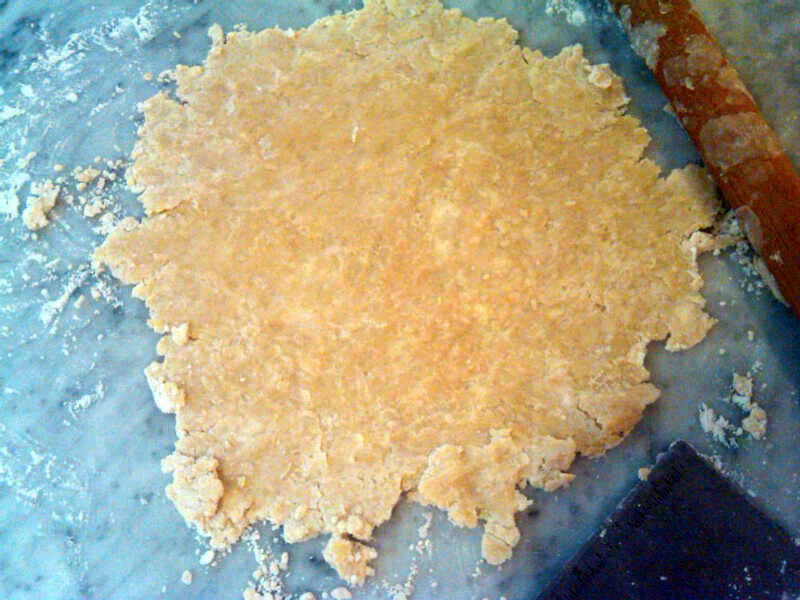 The crust with lemon filling. The meringue is pure white before baking for 8 minutes in a 400 degree oven. Don't overbeat the egg whites! It does seem like pies are attempting to overtake the cupcake, a new pie shop is opening here in our midwestern town. Good for me as most pies involve fruit, thereby eliminating all temptation. Do love a good lemon curd though! Can you explain the appeal of meringue? Could it be a poor man's whip cream or something? Any history on this? 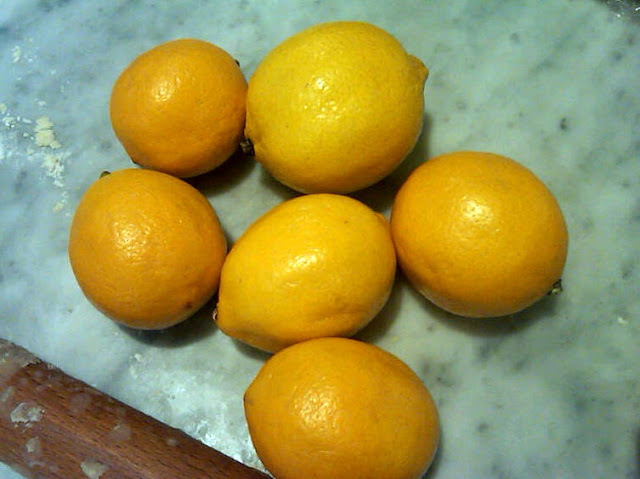 @Anonymous: I'd say that lemon curd is superior to the lemon filling in traditional lemon meringue pies. 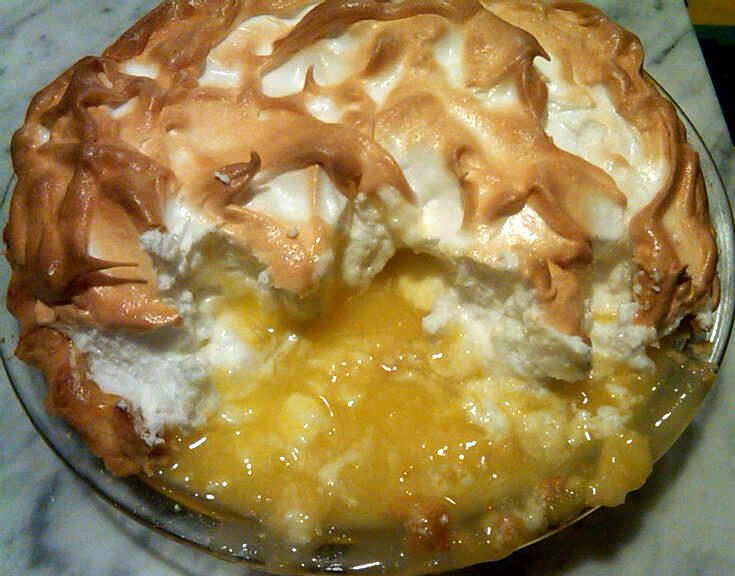 As for meringue, it's one way to use up the egg whites left over from the pie filling and, unlike whipped cream, does not require refrigeration. 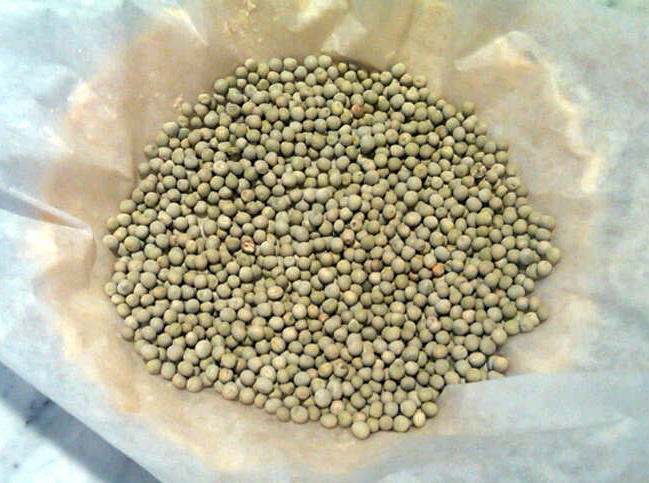 In fact, refrigeration breaks down the meringue. Plus with it's golden top, it's much more attractive than whipped cream, no? @Sophie: Yes, lemon is the perfect antidote to these mid-winter blues. @pie recipe: I'll bet your son would love the process of meringue and the transformation in the oven. Let me know how your pie turns out!